My favourite thing: Going where I’ve never been. If you are planning a holiday in Singapore, you know Sentosa has to be on your list. The only problem is: there are so many activities in Sentosa, you can pretty much cover a week there and still not be done. So how do you choose what is apt for you and your family? I visited Singapore with my husband sometime last year, and our planning phase pretty much started months in advance. There are a ton of information on Sentosa online, but to me, it all seemed too much information, and more confusing than anything. + The tickets for every experience is pretty steep. So if you are a budget traveller to Singapore and wish to experience the best at the least time, here’s what you got to do. Sentosa is a big island and covering everything in minimal time is next to impossible, given all the activities are quite a distance from each other. Check out the cost of individual activities that you want to do for sure, and make a call whether a clubbed pass is better or individual passes. We bought all our passes through this app called Klook. It gave us similar to better discounts than what we saw online, and in one click we had the tickets on our phone. If you book through the main tourist websites, one has to go fetch the tickets from their counters at the time of usage, which let’s face it is a bit of a hassle. Even though you might have tickets to Universal Studios, I would recommend buy express passes. The crowd here is insane, and on a regular low traffic day also, the entry lines take nearly an hour to get into the massive property. That + the long lines for each ride, it can ruin the experience. An express pass can help you avoid that and you might just be able to experience more in the given time. We spent extra dollars just to keep our bags in lockers while waiting for 2 hours and more for a single ride. It was mind-boggling. Don’t make the same mistake. Ideally, it says you can complete the tour in an hour or two, but if you are a wildlife/sea life enthusiast, I can assure you, you can spend like half a day or more here. There are activities inside going round the clock from shark feeding to dancers dancing with the gigantic Manta Rays. They also have a beautiful restaurant inside which is worth a mention on its own. After a day of fun, the best place to relax is by the beaches. Take the sentosa train to the last stop and enjoy an evening by the warm waters and some amazing restaurants all around. The vibe of the place is pretty outstanding and you should definitely check this place out in your Sentosa tour. Cable Car Ride, Adventure 4D Land, and Wings of Time are good ones to try if you have the time. Keep in mind, the island has a lot to offer, and you can easily spend a good amount of time just by doing a walking tour of the property. 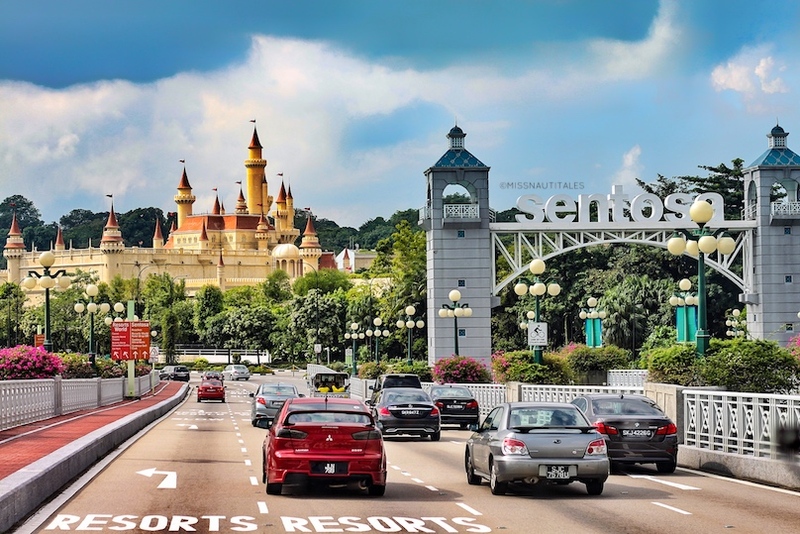 If you wish to get more information about Sentosa and tickets, log on to the Singapore Tourism Page.